Tile Cleaning University Park? A tile floor can make a space feel brand new. It can give your space an air of luxury and class. It can even brighten up a room. That is because you have so many options to choose from when you tile a space. Many people like tile because it is easier to clean and more durable than carpet. However, over time, the grout in the tile can become dirty and despite your best efforts, the tile itself can become stained and dirty in places that are hard to get to. In some cases, dirt and allergens may affect you in a more chronic and severe way. You could develop asthma or some other long-term condition. When substances in the grout don’t cause full-blown allergic reactions, they may just irritate. This can lead to unexplained headaches, fatigue, trouble breathing, concentration problems, nausea and other similar symptoms. The bottom line is that if you do not keep it clean, grout can cause serious health risks. Getting grout truly clean is a process that can be difficult and time consuming. Think of Cinderella cleaning the floors with a toothbrush. That is just the start. You also need some kind of bleach and a grout-cleaning tool. It takes a lot of time and hassle, especially if you are talking about multiple surfaces as grout is in between any tile surface such as floors and bathroom walls. Tile Cleaning University Park. You will want to take care of your tile too because it helps with resale value. Cleaning and maintaining your home is consistently in the top 10 recommendations of any broker for getting good resale value. In fact, according to This Old House’s website, “Ninety-four percent of real estate pros recommend spending some money on floors. But it doesn’t have to be a lot of money. For an estimated average investment of $600 to $900, brokers report that the return in value comes in at up to $2,000.” Taking care of and cleaning your dirty tile and grout is good maintenance for your health and adds resale value. At Ultra Clean Floor Care, we take pride in making your house feel new again. 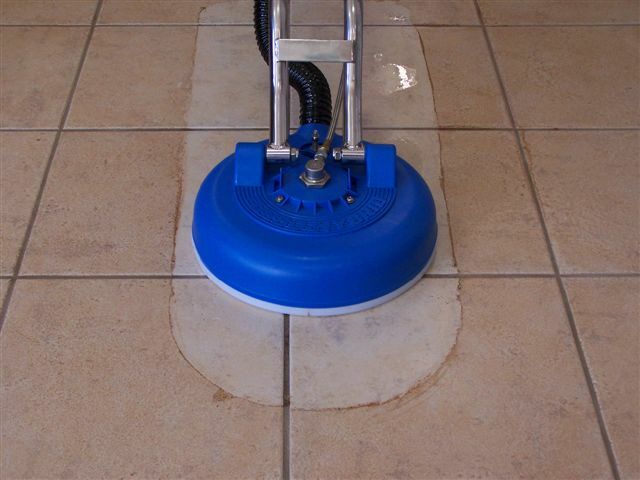 We use top of the line equipment to thoroughly clean your dirty tile and grout. Our professionals show up clean and well mannered, and we work until the job is done right. After all, we are a family owned business and we take pride in making you a part of our family through our care. Plus, we do not stop at just cleaning your tiles and grout. We can make recommendations to help you keep them clean such as sealing the grout lines. We consider everything when we do a job and to ensure you are pleased with our work, we will provide a sample cleaning for you. Contact us today to get started with a consultation.